Thank you very much! Please tell Gary he’s awesome. I simply love the guy! Highly Recommend Deanna Hoyt…Fantastic Attorney! Michael & Deanna – appreciate all you and Deanna did for me and my daughter! Michael – Congratulations and keep up the great work! Thank you for your congratulations on my new upcoming position as Vice Chair of the Family Law Committee. I can’t tell you how grateful I am that you are serving as the Vice Chair of the Family Law Section Council of the ISBA. Your work there is so important to the Family Law Committee in Lake County. Recommending to Everyone I Know! I just received the email you sent and I truly can’t thank you enough. grateful to you. You have an amazing staff!!! Do you want results in your case? You should take the time to read this. I came to Mike and Gary after having a horrible and expensive experience with another firm. I was sure the position I was left in by the other firm was unrecoverable. Do you want results? I sure did. I got them here. These guys exceeded every expectation and re-instilled in me of faith for the profession I’d come to question. There are a lot of lawyers out there to choose from. They all have advertising. How could you know who the pick? After the experience I had, I wanted to take the time to offer a testimonial that might save someone reading this a whole mess of grief…and whole lot of money. No, I’m not a paid advertiser, just someone who went through a two-year hellish divorce until I was referred to Mike and Gary – one of the best decisions I ever made was to retain them. What do you really want from your lawyers? I know now: ethics, a bent towards protecting the children first, expertise in the process and case law precedents, a solid reputation and rapport within the counsel community, and rapport with those ultimately in control of your future – the judges. Oh, and how about results and getting the job done? Don’t look any further; those aspects are all right here. Between Gary and Mike, I found their ability to cite precedent off the cuff absolutely astounding. 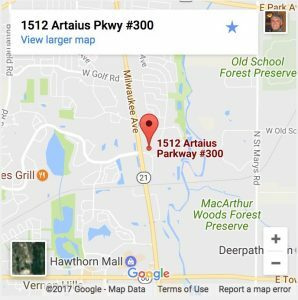 I found their reputation within the community of Lake County lawyers one of respect and amiability, and they had the respect and goodwill with the judges. Yes, and they made it happen – got results – real results. These guys never wasted time to inflate the bill, quite the opposite; all the while exceeding my expectations on what was possible for me. That’s why I took the time to write this. Do you want a therapist? Better go get one because you won’t find that service here. These guys are no nonsense and very busy. If you want a lawyer who’s going to write back long emails to your rants about how you feel, and all your irrelevant garbage (not to be flippant – I know these are very important to us as real people going through an all too real difficult time – yes – it really hurt), you better save that stuff for a therapist, or a close family member or friend….sparingly of course. A lawyer isn’t a therapist, your best friend, father, mother, sister, brother… or baby sitter (of us or our children LOL). Some lawyers will happily allow you to engage them at $350 per hour to listen to our heartaches and maybe even encourage us to spin wheels down those expensive roads. These guys are too busy to gouge your money in that way – they don’t need to – they’re too busy. Think about that. Most of a law firms business comes from referrals. They’re busy for a reason, busy getting results – not with the BS. Thanks to Michael…Couldn’t Have Done It Without You! You Have Done an Absolutely Amazing Job!!!! We Appreciate the Time & Effort! Favorite Lawyer in the World! Dear Michael, On behalf of The Partnership for a Safer Lake County, I would like to thank you for being a presenter at the 2016 Symposium for a Safe Lake County. We received wonderful feedback from those who attended the conference, many of whom attended your breakout session…It was a full day of learning and sharing, which left people eager not only to utilize their new resources, but also to learn more. Gift to the Legal Community! Michael, I’m amazed by you. Thank you, thank you, thank you. ~ Family Law Client, August 2016. That’s Why I Hired You! Couldn’t Have Done It Without Mike’s Help! Dear Mike, Thank you for your continued support of A Safe Place and the EmpoweRun 5K. Thanks to your sponsorship and support, this year’s race was our most successful 5k yet! We couldn’t have done it without your help. A Safe Place is able to continue providing life-saving services to survivors of domestic violence and their families. ~ Thank you! Pat D., May 2016. Mike, Just wanted to thank you again for all of the time you spent with us last night. I know we kept you a lot longer than I had hoped, and I hope we didn’t cut into your family time too much, but we felt so incredibly comfortable with you, and I knew that we would get honest, accurate information and that you would understand the situation. I can’t say enough positive things about Michael Strauss. My ex-husband was/is an extremely high conflict, narcissistic personality (Google it), extremely controlling and abusive, and within about thirty seconds of our initial meeting, Michael knew EXACTLY what he was dealing with. He met all my fears and concerns with a swift and confident supportive argument. I truly felt “advocated” for. He also had an almost immediate sense of what level of emotional stress I had the capacity to endure and took that into careful consideration when handling my case. He priced me fairly, didn’t sugarcoat anything or draw things out, returned emails and questions within a very short time frame, and in general just really made me feel like he appreciated my business and took my case and my questions very seriously. You might think that all that should be a given, but you would be surprised how many people complain about their divorce attorneys. Dear Gary, WE THINK YOU’RE AWESOME!Thank you for your perfect response. ~ Leo, November 2015. Michael, Thank you for your support yesterday. It was a long day and rather anxiety filled for me…Thanks again for yesterday. ~ October, 2015. Thank you for your generous support and efforts in my dissolution of marriage…your services are truly a blessing to me and my family to help me gain independence from an abusive husband who left me and my girls with no support. Everyone’s continuing optimism, patience to explain this process, professionalism, compassion, and levity let me know I was in good care. Specifically, I’d like to thank your paralegal, Laurie Cagle. She emailed and explained many documents for me. She gave helpful instructions for preparing my financial reports. She answered many of my questions and reassured me several times. Michael Strauss’ optimism and expertise comforted me greatly as I faced this life-changing obstacle. He effortlessly and positively responded to all of my questions. As we faced down the 18 month schedule of court dates, he assured me the end was in sight. Lastly, I want to thank Gary Schlesinger…his talent for turning my distress with levity coupled with his sympathy for my suffering, is evidence of his enduring integrity. Great Lawyer that Knows the Law and Will Fight for You! Mike, By the way, congratulations on your very notable recognition as a Rising Star and 40 under 40. I knew I hired the right guy. Gary, Thank you for your words. I have known you for a long time; if my memory serves me correctly, I first met you when I was appointed to and we both (you were already a member) served on the Family Law Section Council and that was a while ago, at least for me. I have always been impressed by your comments and observations whenever an issue was brought up, discussed and debated by the Council. You would know the law and the everyday, practical application to people and their given issues, as their families were breaking up. Common sense applied to a lot of your comments. My recollection from those early Saturday morning meetings is that I may have sometimes disagreed with your proposition but I had no disagreement with how you framed and presented your position and how you brought it to the table; many times I was in full agreement with you. You, and many other members of the ISBA just like you, bring and share with others your knowledge, your skills and your experiences and every one of us, members of the ISBA, benefit from it. Hi Mike, Thanks again for everything you have done for me these past two weeks. Have a great day!!!! ~ Sincerely and Thankfully, Kevin C.
I really appreciate the communication you guys have been providing. I’m very fortunate to have your team working for me. ~Joseph B. Thanks again for all you did with my case. I really appreciate it! ~ Anne S.
Thank you so much, Mike!…cliché but words truly cannot capture how thankful and relieved I am. God willing, things will continue to progress along in the best interest of my children…and complete resolution is ahead of us. You are amazing! Thanks for the awesome letter. That was great!!! Thanks Gary and for all that you do. Your thoughtfulness is gratefully appreciated. We are always very confident in referring clients to your office. We thank you. ~ NJA, P.C. Thank you for all your help with this. I still can’t believe it happened. You were incredibly knowledgeable, honest, prompt, professional, and so on. I will definitely pass your name onto anyone I know that is looking for a family practice attorney. ~ M.P. I can always count on you & Gary to answer my questions without judgment. Thank you. ~ Fellow attorney in the area. Thank you for your kind and helpful assistance. ~ P.N. Once again, I am compelled to express to you my undying gratitude for the professionalism and caring concern you both showed in handling my divorce… ~ V.L.P. Thanks for the win!! ~ N.B. Dear Mike, we truly can not thank you enough for helping us with the adoption. Going through something so emotional was made so much easier because you were a part of it all. Mike, Just wanted to take a second and thank you for all the work you did on my behalf with the divorce. After my horrible experience with XXXXX, it was great to be with an attorney who not only made me feel comfortable but also gave me the confidence to know that if my wife and I hadn’t of come to an agreement that I had no doubt I would’ve won in court with your representation. Thank You for all you did. Mike, Thank you for all you do. The phone calls, text messages, and the way you have looked out for my children and I. It is nice to know someone as special as you has my back. Please know how much I appreciate everything. Mike, We appreciate you so much. You don’t know what it means to us that you understand what yesterday was for us. It was happy and also so upsetting. Thank you for understanding and being the wonderful person you are. And truly, thank you for helping us. It meant so much to us. Having someone we know help with such a sensitive issue was a blessing. Thank you. Thanks for the AWESOME letter written to Eric’s attorney- Perfect! ~ L.P.
Mike, I know sometimes your job must be very tough having to navigate people through such a difficult time in their lives. You have a gift and I thank you for helping me through this difficult time with such professionalism and heart. Hello Michael! By the way, for the record, I feel great. I cannot put into words the gratitude I have for walking me through the most horrific ordeal of my life. But, I will find them, and let anyone who will listen to me know how amazing you, and your firm are. Thanks for your work on the matter. You don’t bill enough. ~ Stuart A. Reid, The Law Offices of Stuart A. Reid, P.C. Gary, Thank you, thank you , thank you! It was really great to see my children again. 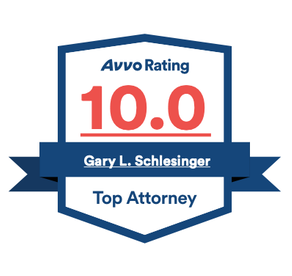 Gary is the attorney in Lake County to whom I refer all my domestic law matters, and he does an excellent job. I have already spoken to him about this case, and he is expecting a call to set up an initial appointment. Gary represented me when I was divorced 32 years ago, and I have known him longer than that. He is extremely well informed, experienced, energetic. I can’t say enough nice things about him. 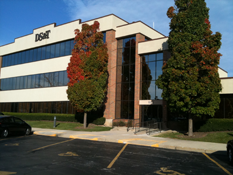 He practices in Libertyville, Lake County, Illinois. Mike & Gary, First I would like to say thank you from both my wife and I for your time, expertise and counsel yesterday. 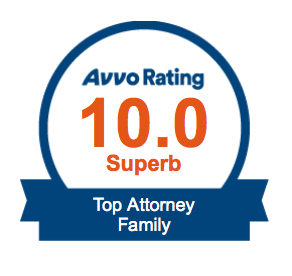 We feel very confident and fortunate to have your firm representing us. Dear Gary, Just a little note to thank you for your great work in court. We can’t express how much gratitude we have for you and your office girls. We had so much fun with “Little Chris”, what a miracle. We missed out on so much and now we have him back, thanks to you, and a bigger thanks for including me! We are so happy! Dear Gary and Staff, Well what a journey . . .Thank you for all your support and guidance and for believing in me. ~ Fond regards, V.
Gary, THANK YOU for really fighting for me and my children today. I know how frustrating my case is for both you and Mike, and I just don’t have money. I want you to realize that this little bit of child support makes the difference of whether I make my rent this month or not having a roof over our heads again. Gary, Thank you – you and your team are amazing. Dear Gary, it has been a long and nerve-wracking journey. 6 months out of 18 months I worked with you. You have matched our expectations. You have eventually stopped this unfair non-sense. Despite being in the divorce law field full of unethical greedy lawyers, you have managed to remain a gentleman with high moral & ethical values! I wish I had retained you from the beginning but, at least, I am lucky that you agreed to work with me for the last 6 months. Thank you very much, Gary! Now I can finally focus on my family…. I cannot thank you enough and pray that God continues to bless you and yours. You are highly regarded, very professional, and I appreciate your patience with me during this ordeal… PS. I got married July 22 so we finally have what we deserve – a wonderful MAN in our life! Thanks again! Dear Mr. Schlesinger, thank you for your tireless efforts on my behalf in obtaining the divorce from (name omitted). Thank you also for your continued concern for the well being of my children and the recovery of my health. All of your support, including that of your staff has heartened me greatly in this traumatic circumstance and helped my family and I to soldier on. Thank you very much “for what your works have done to ensure a better, more peaceful life” for me. Thanks Gary, You’re the best! Gary, Thank you for your expertise and professionalism in the court room today. You definitely held [my ex-husband, name omitted] accountable for his actions, which no other attorney has ever accomplished to date. I appreciate your support during these very difficult times. I’m very fortunate to have selected you to represent me. Again, thank you for all your help. Thank you both for all the effort you made on my behalf. I’m glad you were on my team. From a soldier in Afghanistan whose case we just finished. I want to thank you from the bottom of my heart for all your hard work and putting up with my panic attacks. Thank you for your support. I shall be a life long fan. I am completely delighted with the outcome but better was your court room maneuvers. Awesome! To watch a master at work had me holding my breath at times. I appreciate your help and guidance through the past year. Thank you so much for all your help in bringing this divorce to a close. You were magnificent and your professionalism in court was and is burnt in my memory. Thank you again. Your staff was as professional as you are. I appreciate everything you did for me and will always remember that. Thank you for your help guiding me through my divorce. Thank you and your staff for all your help. I want to thank you for believing in me. You are one hell of an attorney and I am glad you are on my side. The controls that you think you once had in your life have now spiraled out of control and are now in the hands of the courts. Without Michael at my side I do not know what I would have done. His confidence and responsiveness was key and extremely valuable. He is not just an attorney with all the knowledge of the law. He is an attorney that cares. As scary as situations arise during the divorce, Michael would take the time to explain them to me because they were beyond my comprehension. He is extremely understanding and patient as I would ask the same questions or panic over things that seemed frightening to me. He would help me cope not just by listening to all my concerns but also giving me advice based on each situation as it arose. No matter how big or small the question or concern, he had an answer. . . I want to thank you, Mike for all your hard work and dedication that lead me through the most trying time of my life. No words, actions, or amount of money can ever repay all the things that you have done for me and my family.